An in-depth enquiry on economic subjects cannot always be confined to sharply focused economic papers and essays. Innovative ideas may need a thorough comprehension thanks to books, the most ancient and still the most modern way to cope with complexity. Download for free these economics books and comment on them. Students of the first year of economics usually learn the basic functioning of the economy thanks to the "IS-LM model" and its modifications. In this site, you will find an overall introduction to the model, its key basic and advanced concepts, (e.g. consumption, investment, public expenditure, trade balance), a one-page interactive map of their connections, and relevant data from all countries in the world. In particular, you shall be introduce to all phases of the business cycle (expansion, boom, peak, recession, depression, trough, and recovery). More advanced features of macro-economy receive wide explanations, like how business cycle fluctuations and financial fragility are linked to labour market and international trade. This site presents you the basic neoclassical consumer theory and its opposite evolutionary alternative, offering empirical papers and data for broad understanding of consumer behaviour, including the decision to repurchase , to save and cumulate assets, under the influence of advertising. and leveraging the relationship between prices and quantities. This hyper-textual free book covers most of the issues raised in A-level Economics or Economics 101 and goes well beyond, always avoiding higher mathematics but rather offering computer simulations to drill with. The theory of the firm begins with a new theory of monopoly, in turn contrasted with the standard one, and develops with a discussion of "competition" in substitute goods, coupled with the possible seller's refusal to sell. Central is here the concept of business routines. A classification of business costs is offered together with a free software and an easy Excel spreadsheet for marginal and average cost computations. The production function is explained and criticised for the case of one productive input. In case of two or more productive inputs, the isoquant concept is presented, given a free software and critically evaluated. The dynamic intersection between demand and supply is presented in a simple simulation model. Advanced areas, as product differentiation, innovation, and finance, including, insurance, are covered as well. A special section is devoted to poverty, the differences in consumption and cumulative bundle between the rich and the poor, the reasons for poor to pay more than the rich as well as microfinance and remittances. This path-breaking book provides sound and effective introduction, arguments, directions, and specific solutions not only for the fast diffusion of renewable energies but for a whole revolution widening their exponential dynamics (and advantages) to all sectors, so to demonstrate that yes, "we can renew our world, despite many of the grim developments of the last few centuries". Easily accessible for a large public, it's perfect for policy-makers and teams working on sustainability plans and projects at global and local scale. It provides a wealth of up-dated reference to best practices that can be multiplied, thus reaching a global critical mass. We are seriously concerned with global climate change, the higher frequency of extreme weather conditions, the rise of sea level, the acidification of the oceans, the salinisation of sweet water in small islands, the dramatic reduction in biodiversity, and ubiquitous pollution. But we are optimist that mitigation is still possible if the world reacts with extreme energy and cohesion. This book provides a large array of proposals by 30 economists from developing and developed countries. High and senior level policymakers (and their staff) will find fundamental outlines and insights for negotiating and laying down NAMAs (Nationally Appropriate Mitigation Actions) and Climate Action Plans at national, sub-national, city and sectoral levels. Students and engaged citizens - who want their country make the difference and seize all development opportunities opened up by green jobs, new business niches, higher quality of life - will find accessible guidelines. Presented at a COP15 side-event, the book is inspiring top-level and grassroot actions worldwide. A humanistic constructive criticism of neoclassical economics. 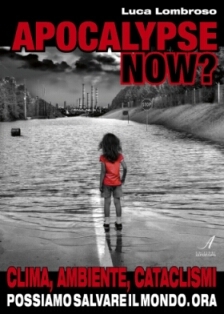 Climate, environment, catastrophes. We can save the world. Now. The latest book by Luca Lombroso. An instant full-fledged book by heterodox economists, including Frédéric Lordon, Dean Baker, James K. Galbraith,Paul Davidson, George Soros about the financial and the housing bubble and crisis and ways out. Prof. Kenneth L. Simons explains in 150 pages all what you need to know about the evolution of new industries, the turnover of corporate leadership, the shakeouts and the industry dynamics linked to concentration, innovation sources, product differentiation. Firm size growth, regional agglomerations of firms, the city dynamics are mapped together with industry evolutionary patterns and evidence about the false myth of the U-Shaped long-run firm cost curve. The reasons for companies and countries to import, export, invest abroad and operate on currency exchange markets are easily explained, with plenty of real data. A free business game summarizes this part. The main ingredients of the new theories of international economics, such as imperfect competition, economies of scale and product differentiation, are widely discussed. The standard view about comparative advantages is finally compared with a dynamic perspective based on new technologies, core competences, learning and path-dependence. For policy purposes, the hierarchical structure of world trade is presented, both statically and dynamically. In this perspective, bilateral import promotion and special trade relationships with neighbours are suggested. In this study, the author proposes a new approach to foreign exchange (forex) market studies: the artificial market approach - by integrating fieldwork studies and multiagent computer models in order to explain the micro and macro relation in markets. This free textbook about econometrics analysis, methods, and algebra covers themes like regression, ordinary least squares estimation, multicollinearity, omitted variables, generalized least squares, heteroskedasticity , generalized method of moments, bootstrap techniques, time series analysis, vector auto-regressive analysi (VAR), cointegration, non-parametric methods. This book describes the stylized facts of GDP dynamics over the long term, with growth miracles and disasters, widely presenting the empirical methods used to identify them. This book describes the econometric methods useful to analyse regions and other geographical entities. This 250-pages-long book presents not only the legacy of Kalecki (a brilliant economist, whose only fault was to publish in Polish language; he independently discovered many of the key concepts of what is now identified as Keynesian theory), but also a possible reading of Michal Kalecki as a behavioural economist and the implications for modern evolutionary economic analysis. This 160-pages-long book is an extremely innovative analysis of how biotechnology firms really work and grow with far-reaching lessons for technology policy-makers. Macroeconomics is deeply changing thanks to computer. It becomes easier and more realistic, while the process of integration between macroeconomics and other economic disciplines is given a decisive acceleration. From econometrics to formal models, passing through the revolution in teaching and learning techniques, this book offers an up-to-date overview of what is happening. Shifts in food consumption have led to increased trade and changes in the composition of world agricultural trade. Given different diets, food expenditure and food budget responses to income and price changes vary between developing and developed countries. In developing countries, higher income results in increased demand for meat products, often leading to increased import of live-stock feed. Book: The politics of trade and industrial policy in Africa: forced consensus? Using two unique longitudinal databases, Junfu Zhang investigates firm formation, growth, mortality, and migration in Silicon Valley during the 1990s and explain how the region evolved. After extraordinary economic and innovation success in the late 1990s, Silicon Valley entered a deep recession in 2001. This study seeks to answer tough policy-relevant and empirical questions of interest everywhere in the world.